These flowers are amazingly life-like! The simple wreath makes an effective decoration for a spring display. In this activity, I’ll show you how to make the flowers look realistic and give you instructions on how to make this super-easy wreath (without having to poke a hole through the center to cut it out)! 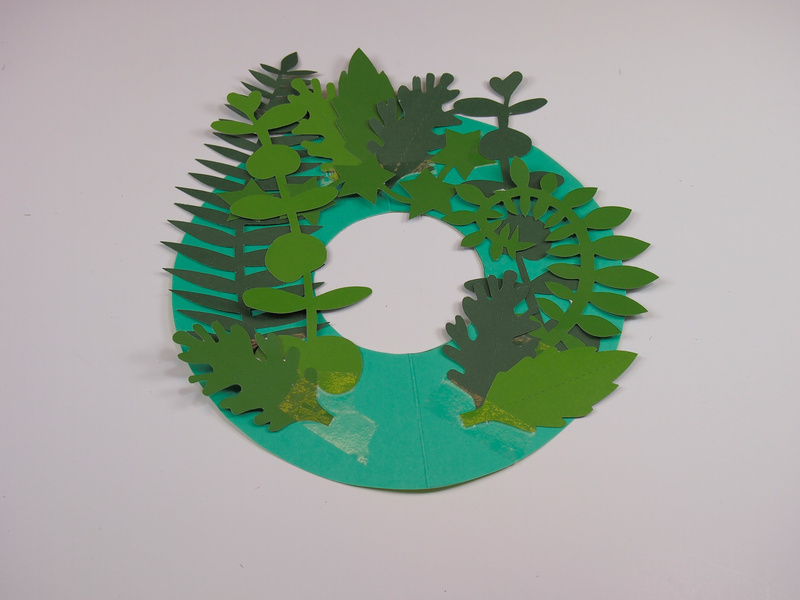 To make your wreath base, start by folding the origami paper or cardstock in half lengthwise to make a rectangle. Draw a semi-circle on one side using a large protractor or the bottom of a circular bucket to trace (you can use a jar lid for the inner circle). 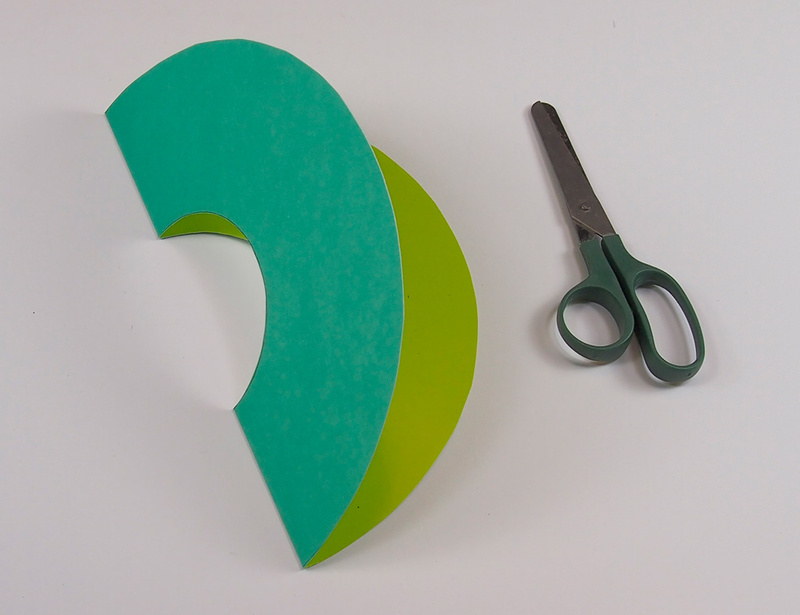 Using scissors, cut along the outside of the large semi circle. Now cut the inside corner into a smaller semi-circle shape. Once you unfold it, you’ll uncover a perfectly-shaped wreath! Take out a sheet of Botanical Cuts and pop out the ferns and leaves. Paste the leaves all around the Double Color wreath. I like to layer the pieces to give the wreath a bit of depth. Start at the top with three leaves and tape down. 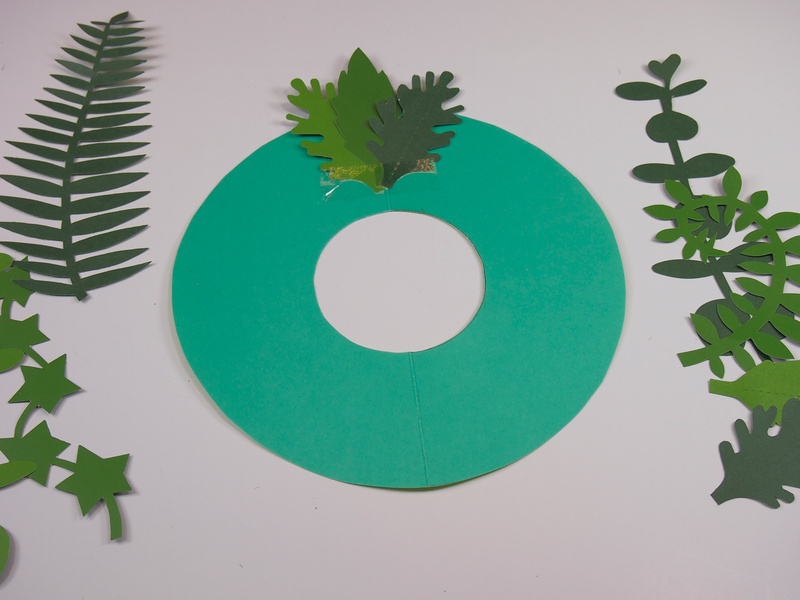 Keep adding ferns and leaves to the sides of the wreath and secure with tape. Layer the leaves wherever you’d like to cover the wreath the most. Leave the bottom portion of the wreath open. This is where you will place the 3D flowers. Below I’ll show you how to make the various kinds of flowers! To make your own flowers, pop out the flower petals from a sheet of R15333 Botanical Cuts. You can fold along the scored lines to give the flower petals dimension or use the blunt side of a pair of scissors to curl the ends of the petals outward. 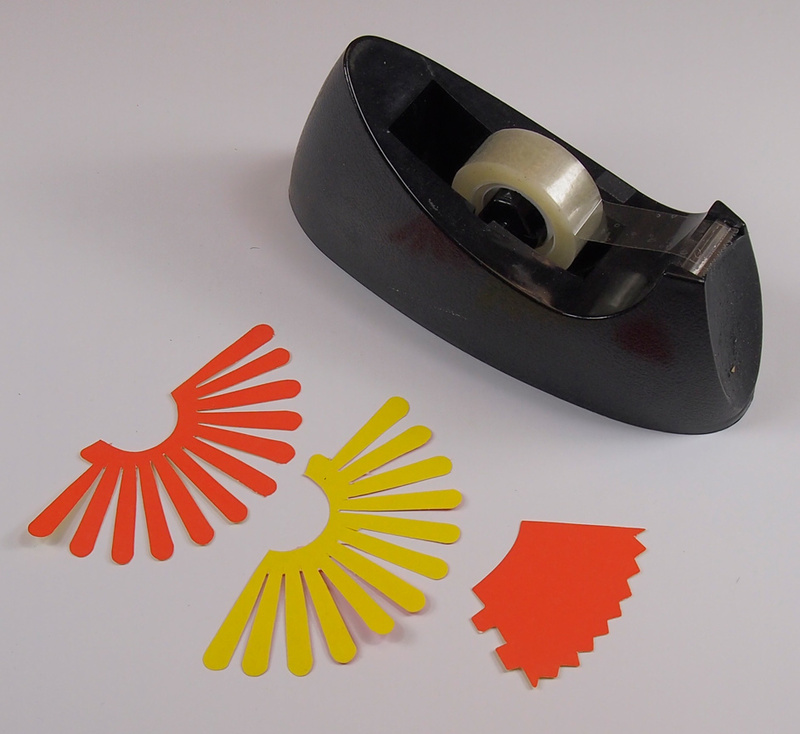 To make the flower three-dimensional, attach the sides with tape. You can layer different sizes of flowers into one another and secure with tape for a fuller look. 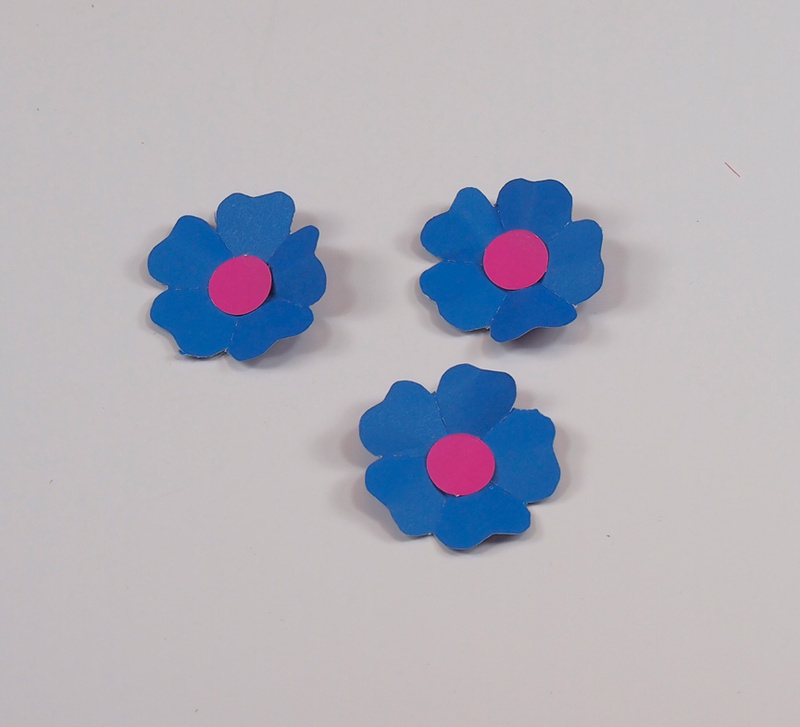 You’ll need three blue flower shapes, and three purple centers. Each flower is pre-scored with fold lines. Fold along the fold lines alternating between inside and outside folds. 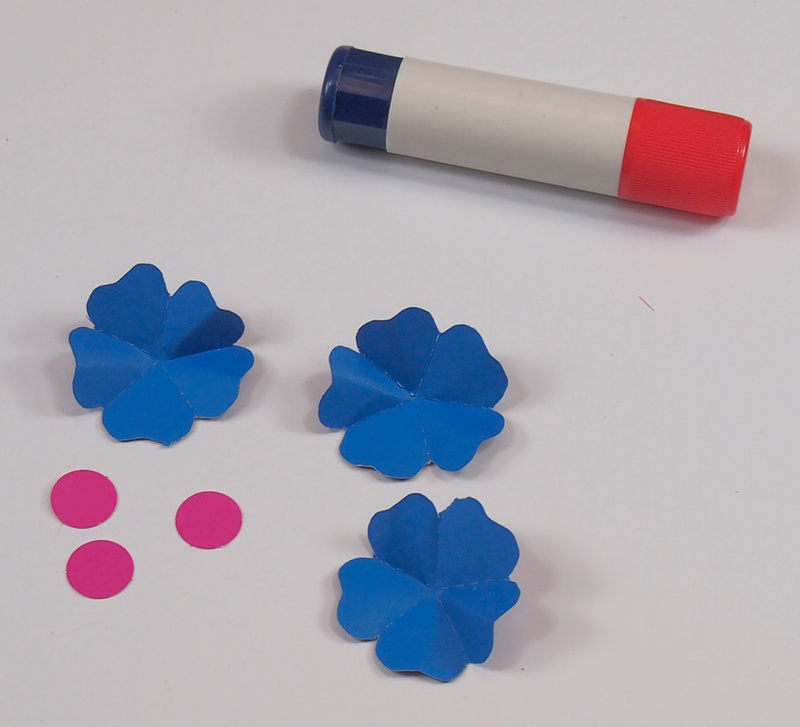 Glue one purple circle to the center of each blue flower. Choose two semi-circle shapes in orange and yellow. These look like sun shapes with rays. You will also need an orange center. Curl out the petals of the semi-circle shapes by rolling the ends tightly around your finger and releasing, or using a pencil. 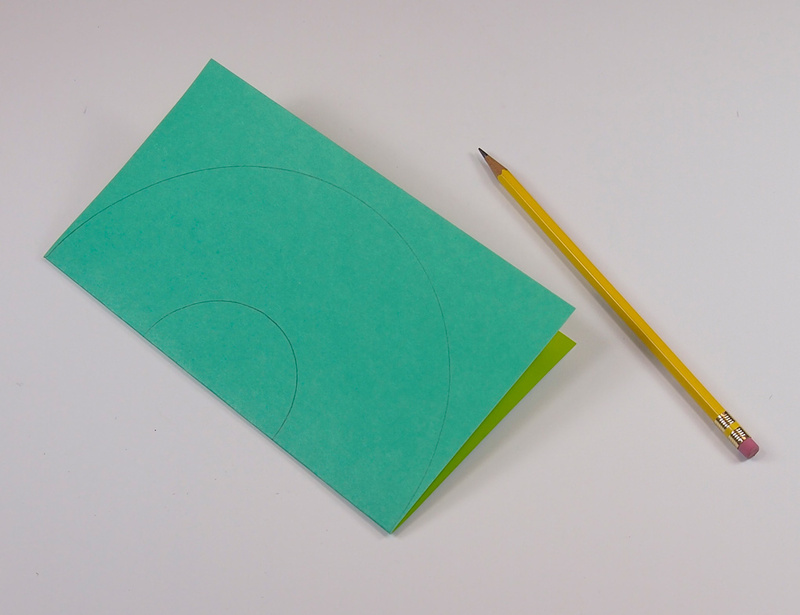 Curve the inner semi-circle of the sun shape to make a full circle and secure the ends with tape. This will form a flower shape with the petals curved outward. 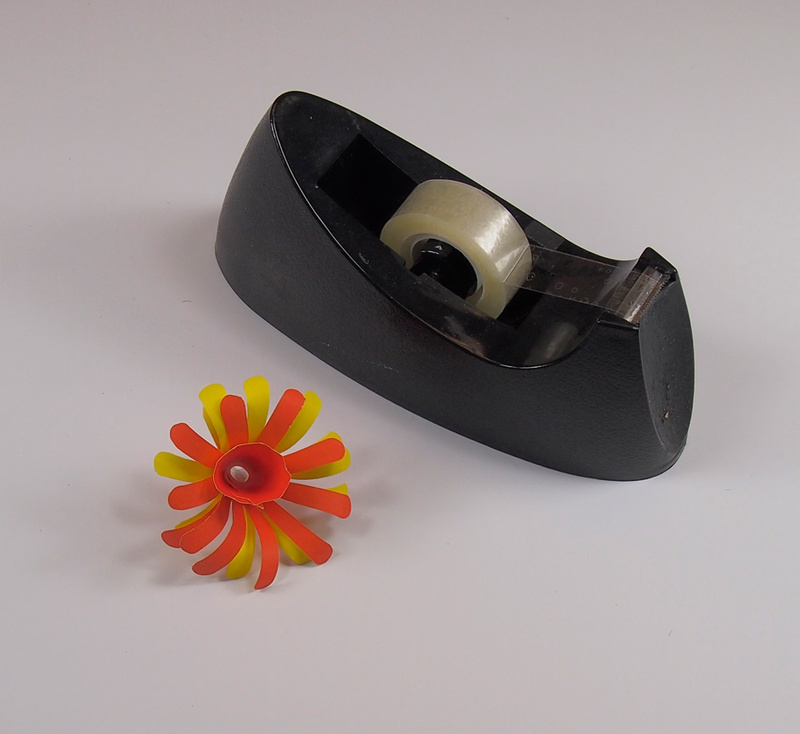 You can alternate the side you choose to curve the petals outward from, either yellow or orange. For the last piece, roll the bottom part opposite the scalloped edge into a circle shape. Secure with tape. Wrap tape around the bottom of one flower shape. 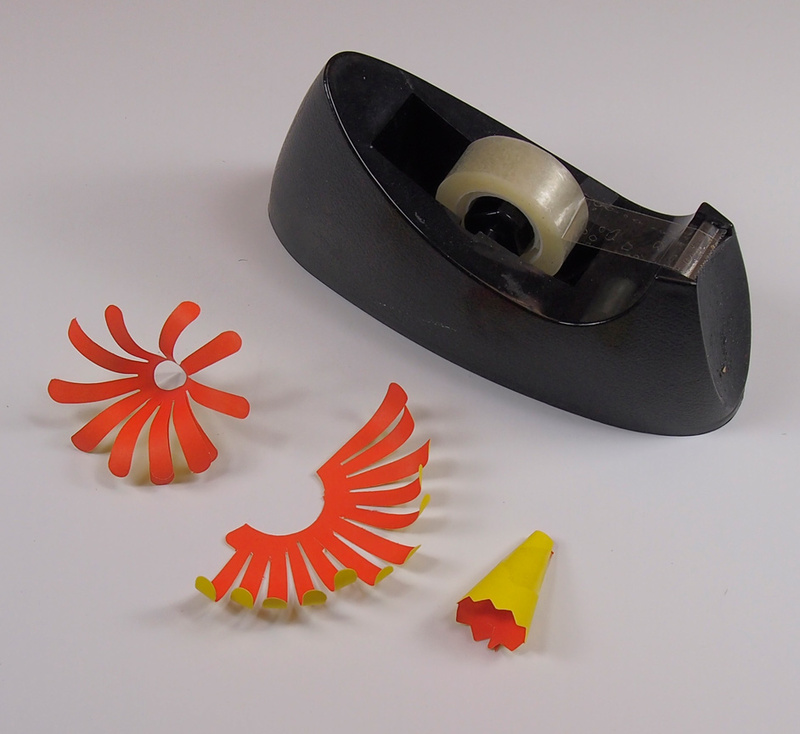 Place this flower shape inside of the second flower shape to secure. Pinch the sides to make sure the tape sticks to the inside. Next, wrap a strip of tape around the bottom of the orange center. Place inside the two-layer flower shape as you did before. Pinch the sides to secure the tape to the inside. For this flower, you will need one purple half-flower shape with a red double-petal center. 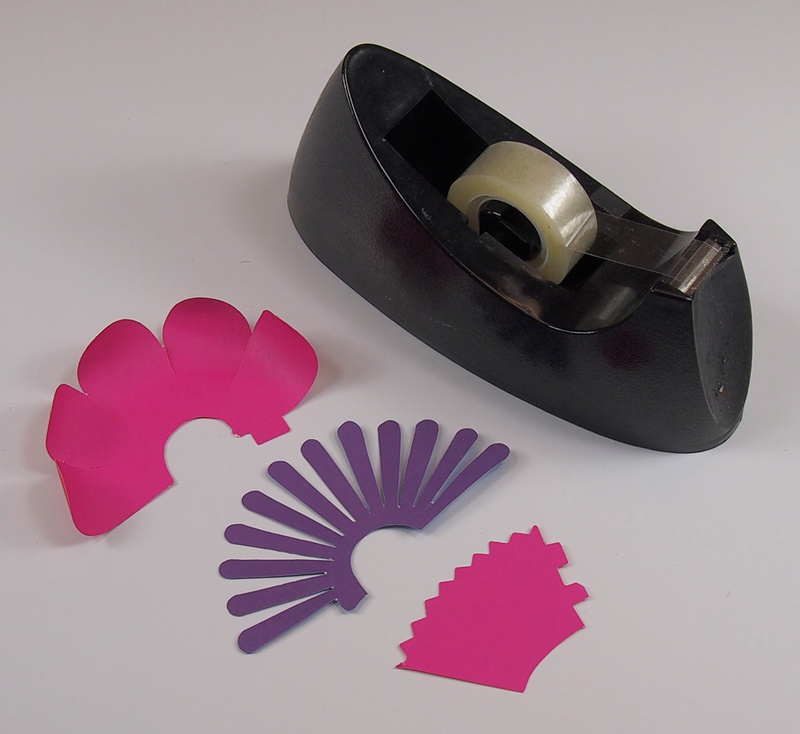 You can use the tab on the half-flower shape to secure the two edges together. This forms a rounded flower shape. Repeat the same step with the red double-petal center. The edges can be secured together with tape. 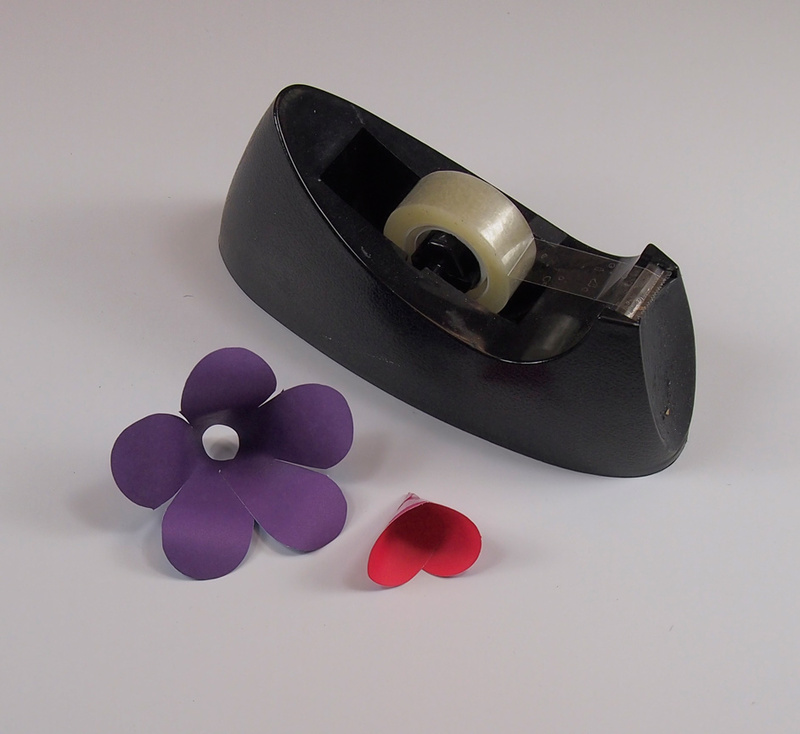 Remember to use your finger or a pencil to curve the ends of the purple flower’s petals outwards. 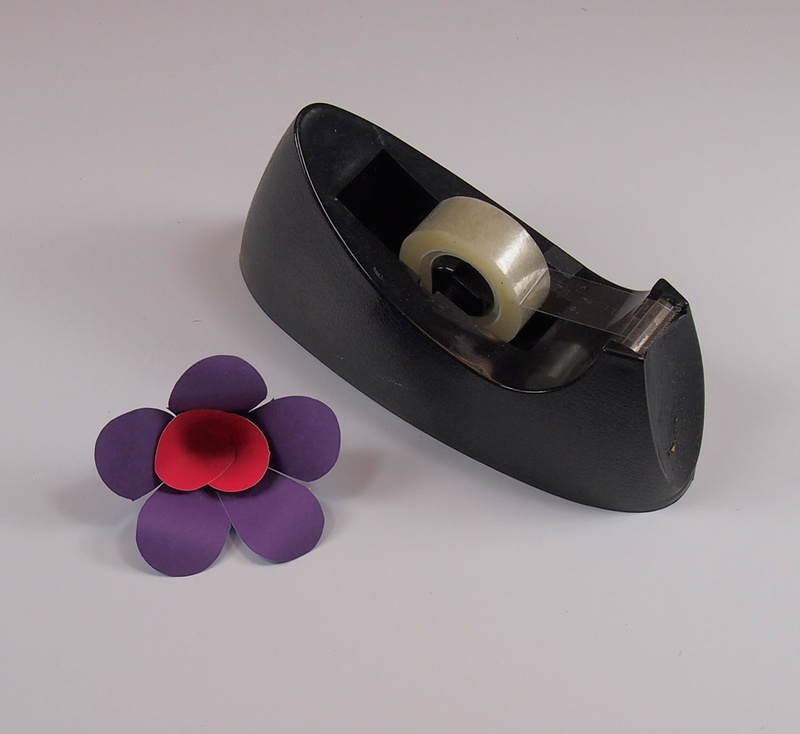 Wrap tape around the outside of the red center and place inside the purple flower. For this flower, you will need one pink half-flower shape, one purple semi-circle sun shape and a pink center. 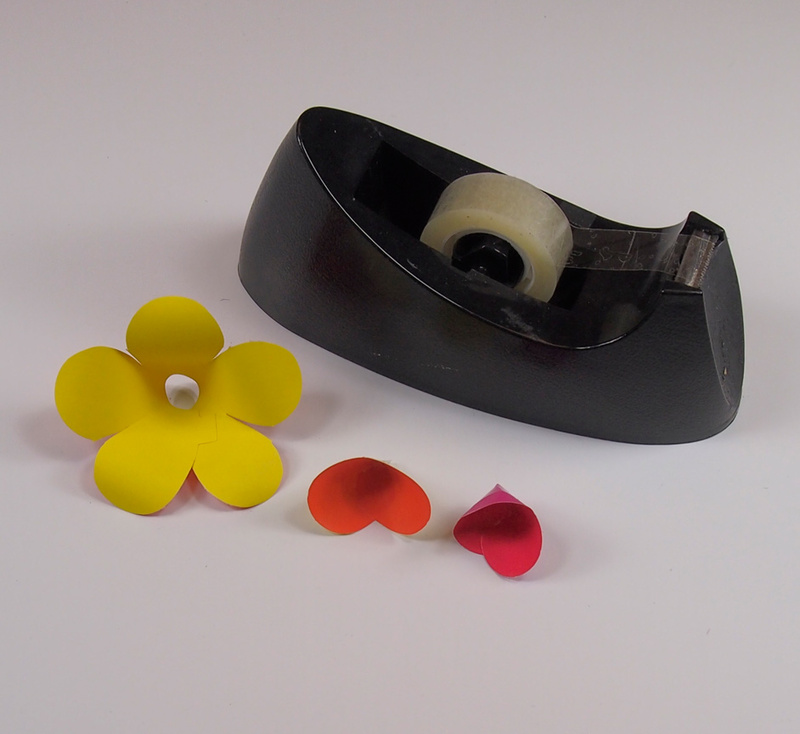 Remember to use a pencil or your finger to curve the petals of both flowers outwards. 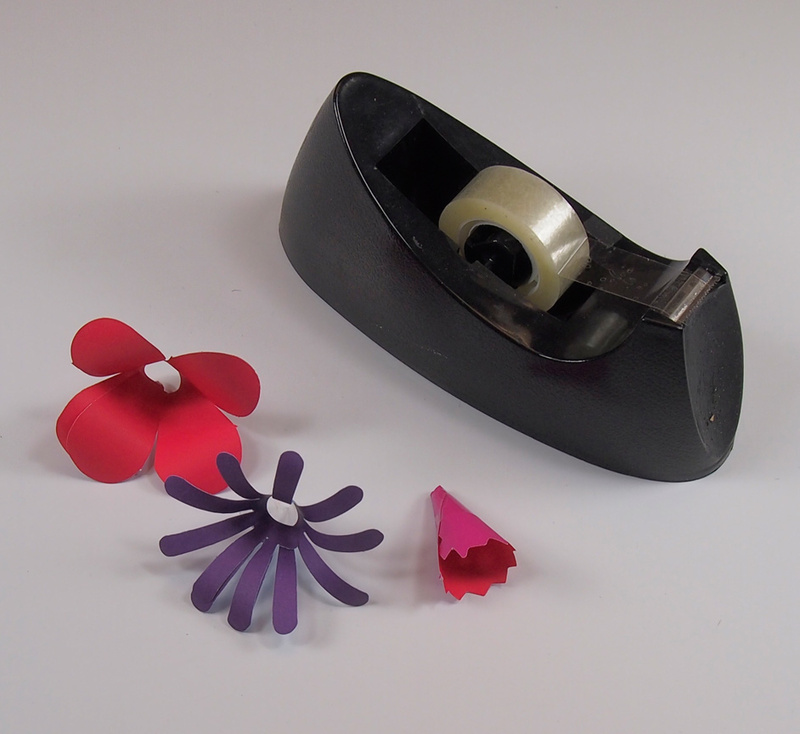 Roll each piece into a circle and secure with tape to form a complete flower shape. 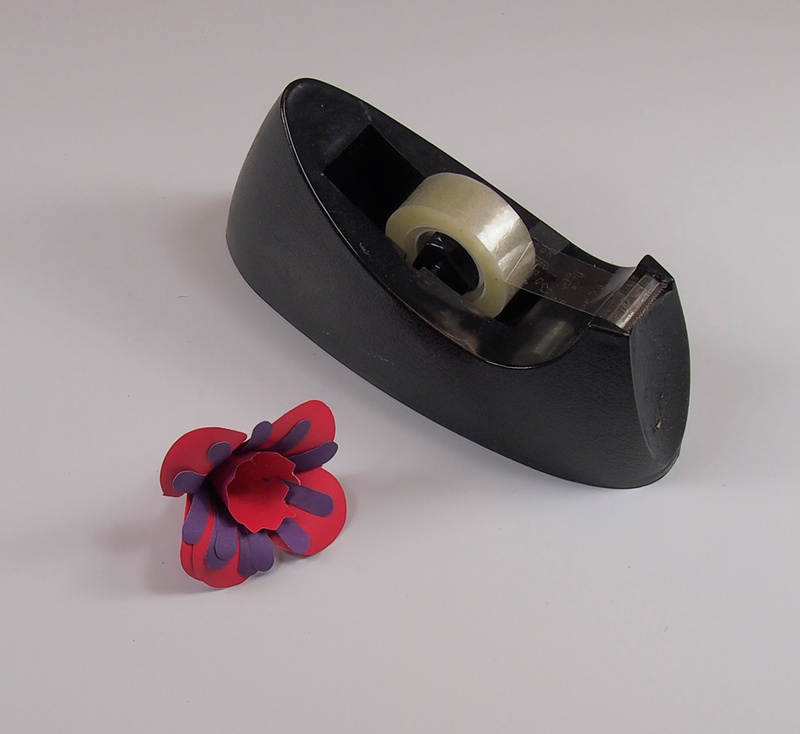 Wrap a strip of tape around the bottom of the purple flower and the pink center. Place the purple flower inside of the red flower. Finally, place the pink center into the purple flower shape. Pinch the sides to secure the tape. For this flower, you will need a yellow half-flower shape, an orange two-petal center, and a red three-petal center. Curve the outsides of the petals. 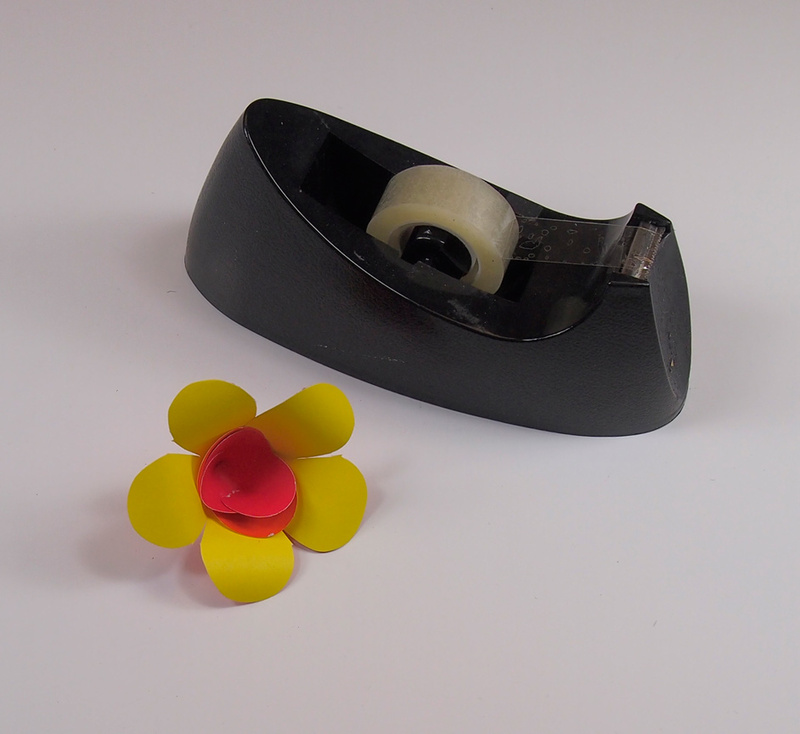 Roll the flower shape into a circle and secure the bottom edges with tape to give it dimension. 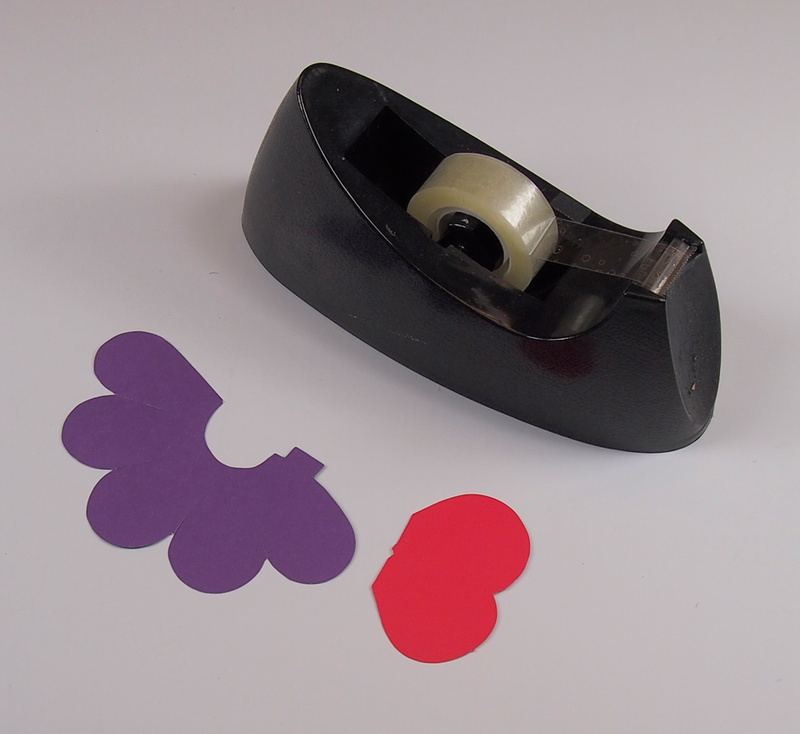 Place tape around the red and pink centers. Place the red center inside of the yellow flower then follow with the pink center. Pinch the sides to secure the tape through all layers. Below, I’ve shown you how I placed the flowers onto the wreath. I used tape to secure the flowers. The order of the flowers depend on your preference, of course–paste the flowers in one corner of the wreath or spread them out! Use a hole punch to make a hole at the top of the frame. Thread some string through the hole at the top, make a loop and you’re ready to hang the wreath. Celebrate the spring season with this gorgeous wreath or send home as a flower-themed gift for Mother’s Day. Show us your gorgeous Spring Wreath ideas by sending photos of your crafts to us! Contact us through the contact form. We’d love to hear from you! This entry was posted in Art, Crafts and tagged 3D paper flowers, collage, decoration, flowers, gift, paper, seasonal craft, spring craft by nasharoylco. Bookmark the permalink. These are beautiful! Thanks for sharing at #WeLoveWeekends… what is Roylco – it requires a login to purchase. Do I have to be a teacher?